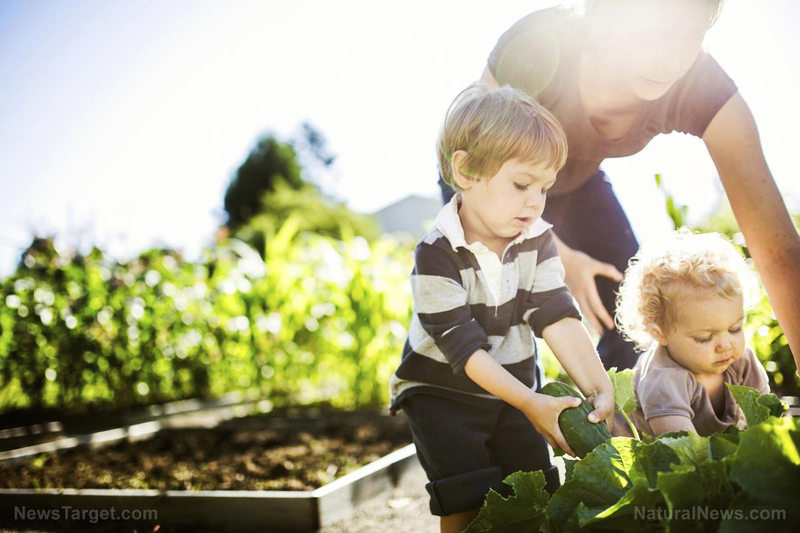 (Natural News) Children rely on their parents to teach them all the basic, essential skills needed to get through life. This includes survival skills. You never know when your kids will need them, and you have nothing to lose from teaching them how to survive. Ask yourself this: If and when a crisis sweeps through our country, will your child be able to come out of it unscathed? Teaching them the skills listed below will increase their chances, for sure. How to forage: Living off the land means being able to identify what plants are and aren’t good for you. Being able to distinguish medicinal and edible plants from the poisonous ones will save you and your children a lot of time and resources. How to meet their dietary needs using the land: Supermarkets will be all but inaccessible in a survival situation, so your children should know how to survive off what’s around them, whether that be mushrooms, rabbits, or berries. How to make a fire: How else will you stay warm during cold nights? Be sure to teach your children the importance of fire safety too, since the last thing you want is to get burned or start a forest fire. How to cook on an open fire: Portable stoves are too cumbersome to keep on you when you’re constantly on the move, so open fires will be your go-to for heating up food. How to open a can of food with and without a can opener: Can openers are handy, but what will your children do if the can opener goes missing? Simple: use a knife, a spoon, or a rock. How to tell when food has gone bad: Spoiled or contaminated food can do a wicked number on anyone’s health. Being able to identify food that’s unfit for human consumption will prevent this from happening. How to use a knife: A knife is a multi-purpose tool that makes survival much easier, but it’s one that needs to be carried, handled, and used with extreme care. How to shoot a slingshot: Slingshots can be useful too: They can take down wild game and even get you out of danger. How to hunt small game: Specifically, how to hunt small game using slingshot, snares, and traps. Trying to keep up with deer, birds, and the like is an exhausting endeavor, so be smart about hunting them. How to hunt with a gun and bow: When your kids are of age, these make hunting easier. But bows and guns should only be handled by adults with an intimate knowledge of these weapons. How to clean fish and game: Before eating what they catch, your kids must know how to properly clean and prepare it. This decreases the risk of them getting sick. How to find clean drinking water: Water is a precious commodity, and one that won’t come easily. How to filter and boil water: You can never be too careful with drinking water. Filtering and boiling it beforehand ensures that your children won’t be falling ill anytime soon. How to perform basic first aid: An absolute must, being familiar with how to manage a bleeding wound and what to do in the event of hypothermia could mean the difference between life and death. How to stay clean: Basic hygiene is a vital part of staying healthy. After all, there won’t be any dentists around to help you with a sore tooth, so why risk having one by skipping out on brushing your teeth? How to find and build shelter: This may very well be your new home during a crisis, which makes it all the more important to find or put together a sturdy shelter that can get through any kind of weather. How to stay warm, dry, or cool: When it rains, you need to stay warm; when it’s hot, you need to stay cool. This isn’t just to make you feel comfortable, it’s also to decrease the risk of heat stroke, hypothermia, and other related health conditions. How to stay hidden: When danger comes a-knocking at your door, it pays to know how and where to hide until the danger passes. How to defend yourself: When you can’t run or hide, you need to know how to stand your ground. This applies to your children too. How to make and use a basic weapon: Just in case you don’t have a knife or a slingshot on you, making one from materials lying around you will suffice. How to stay in shape: The ability to walk or run a long distance can make all the difference in survival. How to climb a tree: Doing this can help you gain your directional bearings and even protect you from predators. How to use a compass and read a map: Going from one place to another can be challenging when you don’t know how to get there. Avoid this problem by learning map and compass reading, and then passing that down to your children. How to read the sky: Looking up to the sky can tell you a lot of practical information, such as the time and the chances of bad weather. How to find family and friends: If you and your kids ever become separated, they need to know where and how to find friendly and familiar faces to help them. How to sew: Clothing, bags, and blankets are all subject to wearing down. Sewing extends their lives by a good margin, and your children can even use their sewing skills to make new bags or blankets. How to barter and trade: Currency may become next to worthless in a survival situation, which makes trading and bartering the medium of exchange. How to be responsible and aware: A crisis is a whole other ballgame that requires you and your children’s full attention if you want to get out of it in one piece. How to be curious and have problem-solving skills: The desire to learn more about the world around them and how to get out of tricky situations will benefit everyone in the family. How to be a hard worker: Everyone should be able to pull their weight in a crisis, kids included. How to remain faithful to God: When your physical strength gives way to exhaustion, sometimes all you have to fall back on is your spiritual strength. Keeping your faith can and will get you through the toughest of times. It’s never too early to educate your children on the basics and importance of survival. And if you’d like to read up on even more preparedness tips and tricks, feel free to visit Survival.news today.